Funday Monday- Countdown is on! Can you believe we have 19 class days left! We have 29 days left in the semester. Thank you to Becci and Luke for their work in the community this weekend. Way to give back you two! Sam, we would also like to thank you for taking on the football video. Good job! Biology chat. We will be completely finished the Biology course this week. This week: Chordata, Review/tests of each phylum, test, Ecology (3 hours), review, test. Monday/Tuesday study? Test Thursday/Friday of next week? 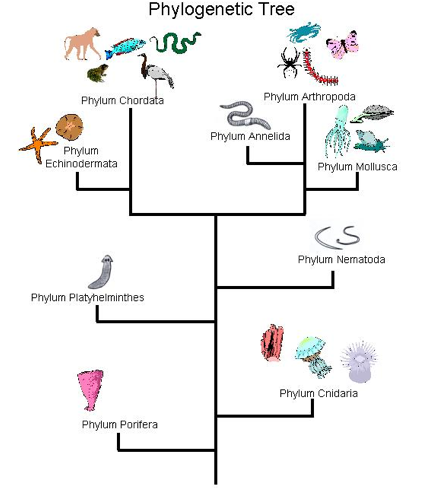 What are all the phyla in Kingdom Animalia? Review notes on Kingdom Chordata. There are 7 different classes of chordates. You have all been randomly separated into different groups. Assign someone to make your chart paper look like the table here. 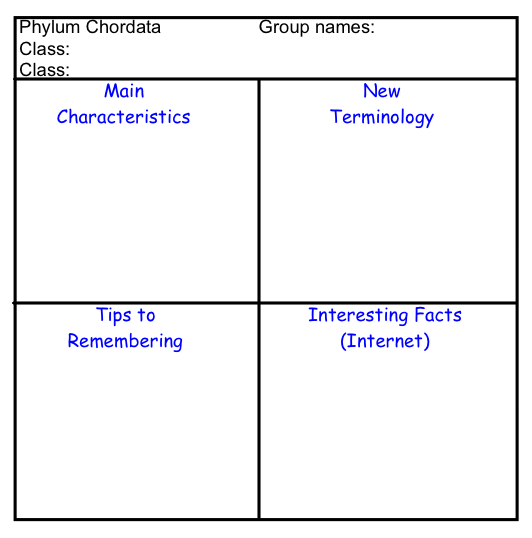 This is the format you will use as you gather information in each area. Each group will be given 20-25 minutes to ensure your chart paper is filled out completely. You will be responsible to teach this chart to others, you may also end up teaching a chart that you were not initially assigned. Be diligent, neat and use your computers for extra research. Each of these charts will also be photographed and placed online for you to study off of. BE NEAT please to your own benefit. The person with the longest hair, stays at initial class and other group members move to the right. The person with the biggest shoe size stays at class and the other group members move to the right. The person with the darkest pants- stays, others move to the right. The person with the birthday closest to Miss Mann’s, May 14 stays, others move to the right. This will bring Chordata to an end. Please add to the charts you began and filled out as each Phylum was introduced. Update this to your Word Press. Individual quizzes of each phylum (4 tests) Each test must be complete. Rewrites are allowed. You must complete all tests in a row first before you rewrite one. Almost any object can be made into a silhouette, however some are better than others. Choose something with a strong and recognizable shape that will be interesting enough in its two dimensional form to hold the interest of those viewing your image. Silhouettes can’t draw on the colors, textures and tones of subjects to make them appealing – so the shape needs to be distinct. If you have your camera in automatic mode your camera will probably want to use its flash which will ruin the silhouette. Basically you want as little light on the front of your subject as possible – so the flash has to go (basic – but I’ve seen a few attempted silhouette shots with the flash firing). When it comes to lighting your subject you’ll need to throw out a lot of what you’ve learnt about normal photography and think a little backwards. Instead of lighting the front of your subject, in silhouettes you need to ensure that there is more light shining from the background than the foreground of your shot – or to put it another way – you want to light the back of your subject rather than the front. The perfect light for this is placing your subject in front of a sunset or sunrise – but really any bright light will be able to do the trick. Frame your shot so you are shooting with your subject in front of a nice plain, but bright background. Usually the best backgrounds will be a bright cloudless sky with the sun setting. You want to position the brightest light source behind your subject (either so that they hide it or so that its in the background somewhere). If there is more than one shape or object in the image that you’re attempting to silhouette, try to keep them separated. ie if you are silhouetting a tree and a person don’t have the person stand in front of the tree or even leaning on it as it will merge them into one shape and as a result your viewers could be confused about what the shape is. Also when framing you’ll probably want to photograph silhouetted people as profiles rather than looking straight on. This means that more of their features (nose, mouth, eyes) are outlined and they are more likely to be recognized. Most modern digital cameras have automatic metering which are pretty good at sensing how to expose a photograph so that everything is well lit. The problem with this is that most cameras are so smart that they will light up your subject instead of underexposing it to get a silhouette so you need to trick it. Most cameras work out the exposure levels in auto mode when you push your shutter half way down (at the same time that they focus). So point your camera at the brightest part of your picture and then press the shutter halfway down (don’t let go). Then move your camera back to frame your shot with the subject where you want it and then finish taking the shot. With most digital cameras this will result in a silhouetted subject. In effect what you’re doing is tricking your camera into thinking that the bright part of the image is the mid tone of it so that anything darker than it will be exposed as a nice dark shadow. Some digital cameras also have ‘spot’ or ‘centered’ metering modes that you can switch on which helps with the above technique as they will set the metering on the central spot of your frame rather than multiple spots. This means you can accurately tell your camera exactly which bit of the bright background you want it to set the exposure on. If this technique doesn’t work and your camera has controls to allow manual exposure or exposure compensation you might like to try some of your own settings. The beauty of digital is that you can experiment to your hearts content until you get the result you’re after. A simple way to start using manual mode is to look at the shutter speed and aperture that it suggests in automatic mode and to start from there. If in auto mode your subject is too light (ie you need to make it darker) stop down the shutter speed a stop or two and see what impact that has. Use the ‘bracketing’ technique that I described in my previous tip on sunrises and sunsets to get a variety of shots at slightly different exposures. In most cases you’ll want the subject which is silhouetted to be the thing that is in focus most crisply. This can mean that the process described in point 4 can be a little tricky as pushing your shutter half way down to get the metering right also means that you’ll focus on that spot in the background. To get around this you can use two strategies. Firstly if your camera has manual focusing you might want to try that. Pre focus your shot before you meter your shot. The other strategy is to use Aperture to maximize your depth of field (the amount of your image that is in focus). Set a small aperture (ie a larger number) to increase the depth of field – this means you’re more likely to have a sharper foreground and background in your shots. One last tip on Silhouettes – while a total silhouette with a nice crisp and black subject can be a powerful shot, also consider the partial silhouette where some detail of your subject is left. Sometimes a touch of light on them makes them slightly more three dimensional and ‘real’. This is the beauty of bracketing your shots as it will leave you with total and partial silhouettes to choose form. 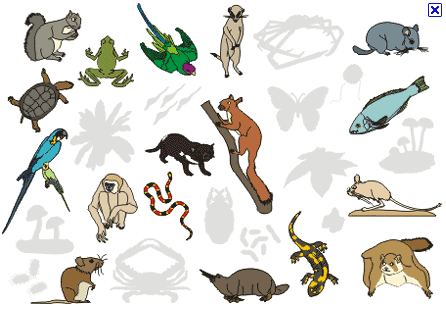 Animalia Quiz on Monday (cue cards are allowed).